(A4O, Finfinnee, 27 June 2014) 52 ‪#‎ Oromo students‬ are called before the disciplinary committee of Addis Ababa ‪#‎University‬ in connection with ‪#‎OromoProtests‬. 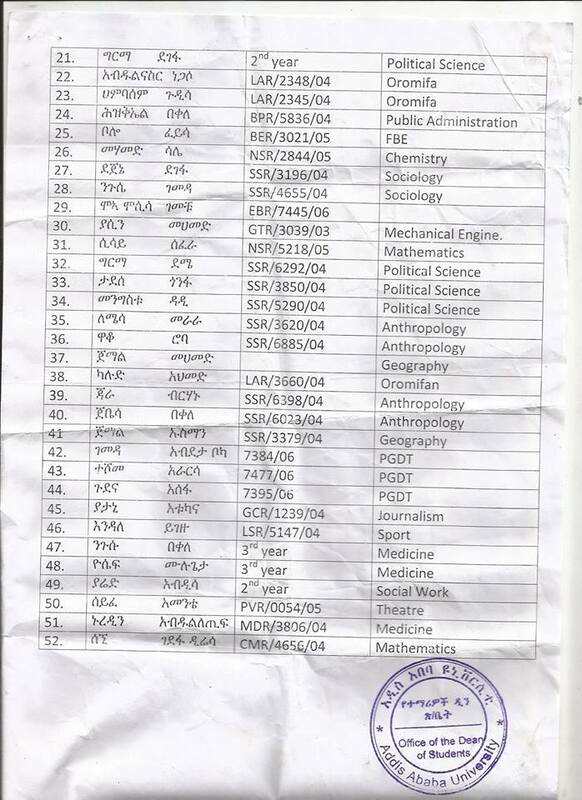 According to our sources the Addis Ababa ‪#‎University already decided to dismiss 52 Oromo students, but organised mock disciplinary committee to cover up their hidden agendas. 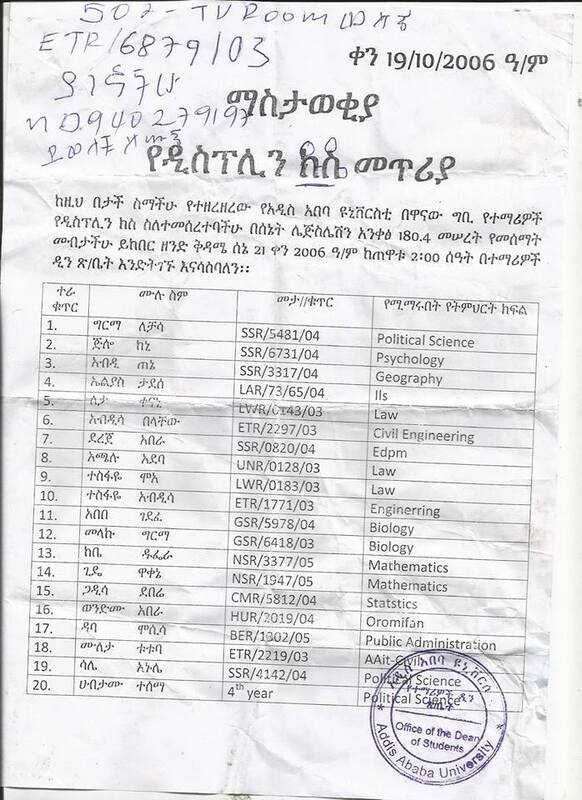 Here attached is the Addis Ababa #University’s announcement.